Creative Play with Drawn to Life. 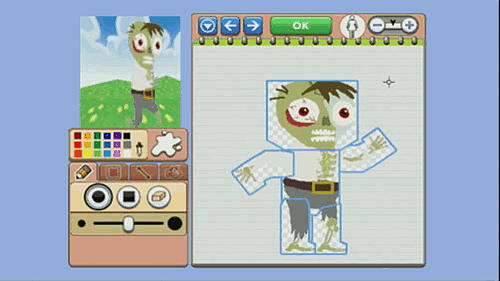 Experience an all-new Drawn to Life adventure in the first DS game that lets you draw your own hero! Once again, the Raposa need your help to save their civilisation! Drawn to Life returns to the DS in an all new journey, featuring even more ways to customise your hero and your gaming experience. Create without limits: Versatile advanced drawing tool features allow for more intricate detail. 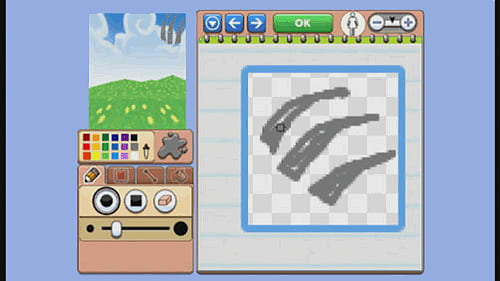 Use additional colours, new guides, and new brush tools to create a multitude of unique items throughout the game. Let you imagination run wild: ability to draw multi-limbed creatures means you can create your own hero in any form-human, animal or something entirely different. 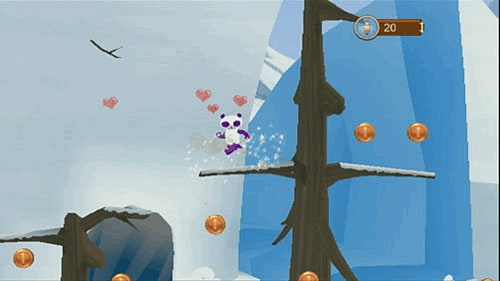 Action drawing; draw objects directly into the game-play to help you advance through the levels. Each colour has special powers and gives your creation unique properties. 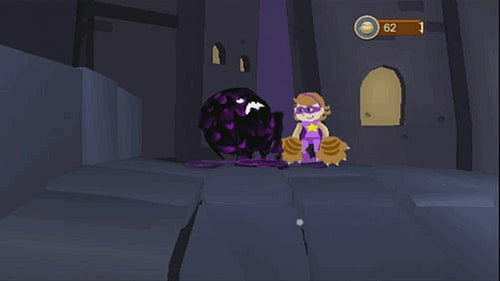 Morph your hero: Choose to turn your hero into a blob or a spider, each has its own abilities to help you advance through the levels. 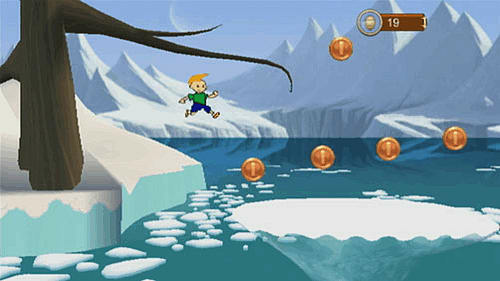 Extensive action adventure game-play: Explore 4 new worlds and sail on a special ship YOU create. Collect colour drops to progress through the game and unlock content including challenges, quests, customisation options and much more! Swap your creations with friends via the multi-card play: Trade heroes, weapons, items and hero accessories with friends who have the game too!